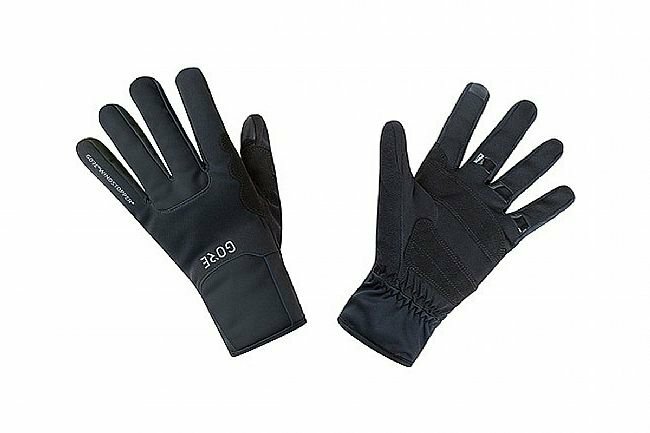 Gore's Windstopper Thermo Gloves have warm insulation under the GORE® WINDSTOPPER® shell to keep the fingers cozy on frigid days. The shell is windproof, water repellent, and highly breathable while the thermo lining has a brushed surface for soft next-to-skin comfort. Foam padding on the inner forehand helps absorb road vibration. GORE® WINDSTOPPER® - windproof, water repellent, and breathable.